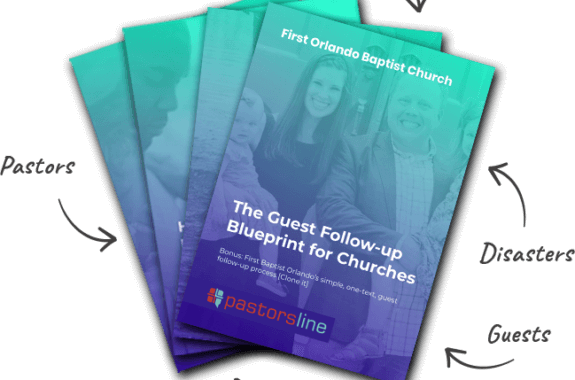 Some of our ministry partners were concerned about sending text messages to a child or merging in the child’s name and sending a message that is going to be received by an adult. Many families may be assigned the same phone number during check-in as you might be aware. What we did to attend to these issues was the following. We will import all contacts but choose the primary contact profile first; if none, then the spouse; if none, then we randomly pick a contact. You will be able to visually see the duplicates and switch which contact you want to be the primary contact for that number. 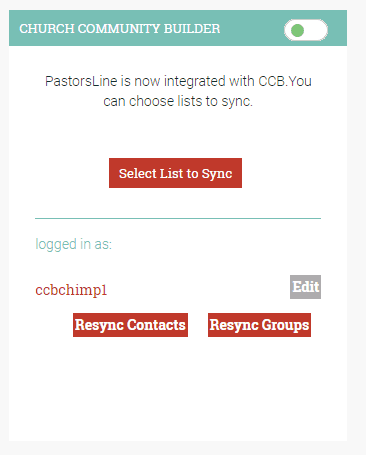 You can now know exactly which CCB profile you are working with by clicking on the CCB icon and opening the url within your CCBChurch Application—just in case if you want to make edits. We added a manual Resync Contacts and Resync Groups within the integration page. What this does is allow you to activate the new changes as well as have options in the future to sync all your data without disabling and reenabling the application. To get started, click on “Resync Contacts”.